We all know that advertising and getting your business’s name out to the public and to your targeted audience plays a big role in how well your business grows and succeeds, but not all start up or online business’s have a big budget for the advertising that they would like to have. Here are a few quick and simple tips to boost and grow the traffic to your website with absolutely no money required! These are free and easy ways, all you have to do is use a little of your time and effort. Start out small, become commenter on as many blogs that relate to your product or targeted audience as possible. Even if you do not write a tremendous amount in response, it will be worth it to post just a small response. You can put free classifieds to use by listing your business and products in them. A couple great sites to try are craigslist.com, usfreeads.com or classifiedsforfree.com. When you post on forums you can ad the link to your website to your signature, so post on as many forums as possible that are made for your targeted audience. Giving away free gifts with your orders can boost confidence in your buyers. One easy and free way is to create “how-to” ebooks and give them away with every order. Creating an ebook is easy since there are many websites that allow you to download free ebook templates and some sites show you how to create one. One way to expand your network is to join online groups such as joining yahoo groups and contribute to any and all of the groups that interest you or that you think could boost traffic to your website. Yahoo groups are a way to meet people have share the same interest as you, you can share messages, photos, and photo albums, as well as take part in member polls and it even contains group event calendars. Are you an etsy seller? (etsy.com) Trade links with other sellers and participate in the blogs that are within the site. Do you have little or no feedback? Try starting out with a huge sale that includes items that are marked drastically down. Every buyer and seller leaves feedback and just increasing you feedback can increase buyers trust in you and your product. make sure that buyer leaves feedback as well as every seller that you buy from. We are now facing the hard time due to recent recession. Every business is striving to survive, may it be a large established business or may it be a small business. It is not known that how long this situation will last. Every business is taking measure to cut its investment costs and trying to cut the expenditure. 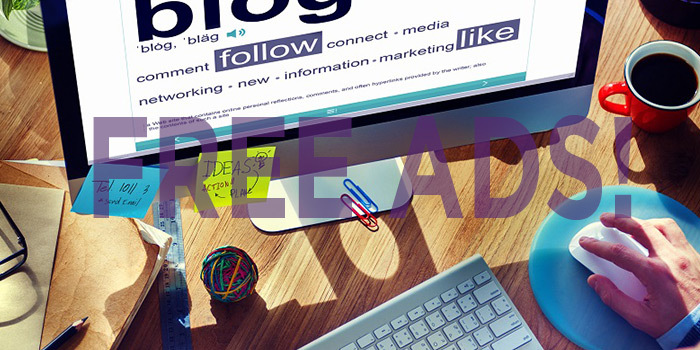 Is it good to slash your advertising costs? No, it is not good to cut the advertising costs. You may slash your other expenditures like gas fuel, or employees’ overtime allowance etc. Only the businesses which have consistent advertising and marketing plan will survive in this tough time. It is well known fact that no business may flourish without effective advertising. The big business may survive in this tough time for long due to their solid economic position. Especially for small businesses it is much essential to continue with their advertising campaigns. Advertising in local media has been proved to be a major aide for small businesses in this hard time. How? 1. Your advertise reaches to the targeted audience. In other forms of advertising it is not sure. 2. Older people have the habit, of reading newspapers and they have more money to spend than others. 3. Your advertisement in any print media is tangible and its cutting may be used for convenience as and when required by your perspective customers. 4. You may have better idea of your audience size by knowing the circulation figures of print media whereas in some other mediums it is not possible. 5. Your ad in the print media will reach the more educated people and in general who belong to above average income group and are your viable perspective customers. 6. The newspapers and print media have partnerships with major industry giants like Yahoo and Monsters etc. 8. Local print media are a safe method of advertising as the reader knows that only a genuine business person will spend his money in advertising whereas on Internet the situation is different. 9. More people rely on advertisements in the local media for their shopping needs to be safe from any online fraud or phishing. 10. The online shopping malls also use the local print media to advertise their products to reach the right audience, right market and right decision makers. These were the top 10 reasons for using local media to survive during the tough economic times and to thrive after the recession ends. It is essential to make a consistent advertising plan and to repeat the advertisement in the local media at least three times to get the better results.